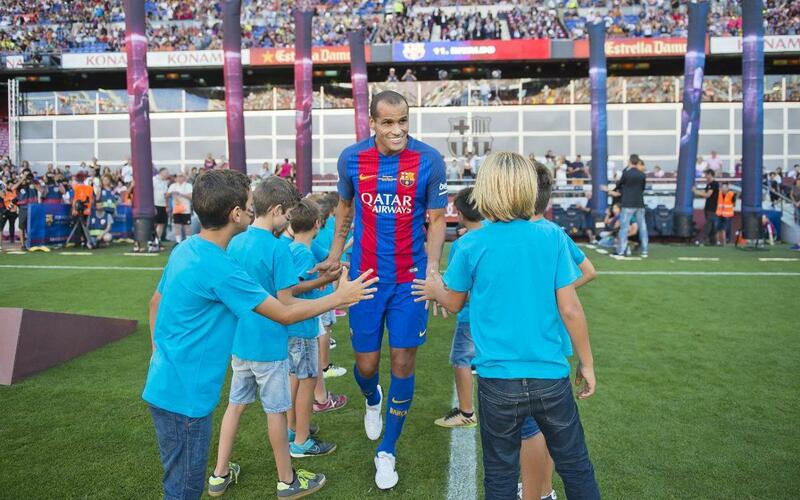 The Barça Legends made their Camp Nou debut on Friday in front of 50,000 keen supporters, as they faced familiar faces of the past from Manchester United. The likes of Ronaldinho, Giuly, Rivaldo and Belletti turned up to support the match which supported the Pediatric Cancer Center of Barcelona of the Sant Joan de Déu hospital. United ran out 3-1 winners on the day, in a game with plenty of great moments that delighted the home crowd. Take a look at the moments you will not have seen before, during and after the match!